Last night as I was passing by the local rail yard I noticed a bright set of lights and the top of a yellow boom peaking from behind a large building. I immediately knew that a derailment of some type had taken place. Getting closer to the seen I was greeted with the sight of the Fisher Companies two International TD bulldozers hooked to either side of a intermodal double stacker. These two old dozers are some sweet sounding machines. I was able to catch a short video of one before another train, the worlds longest container train, passed through. Seriously, it just went on and on for at least 10 minutes. The derailment took place right behind a building so view points were limited. The shot you see above required me to zoom across a a few hundreds yards of darkness and empty track. I was lucky to get anything. Below you can get a better idea of what happened. By this point the car that slipped the track was already fully hoisted and waiting to be shoved back into place. 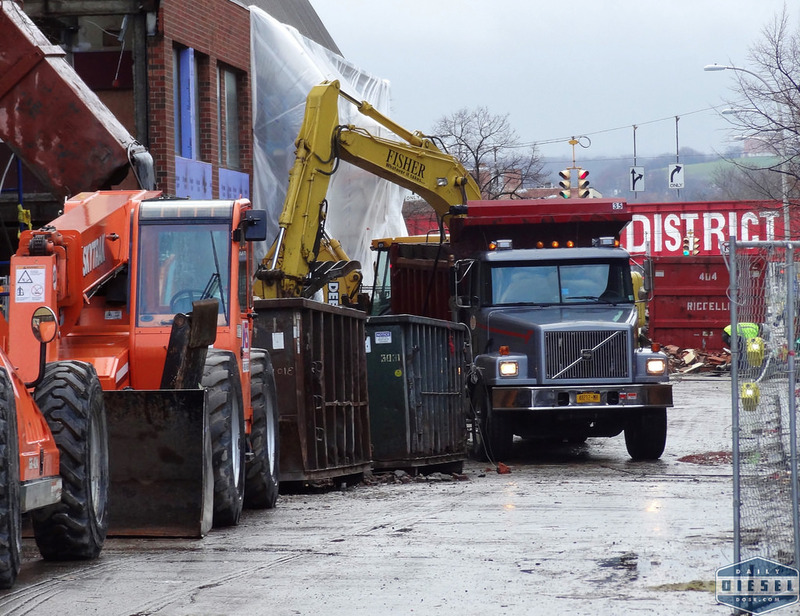 On the topic of the Fisher Companies, I came across one of their dump trucks working on the Hotel Syracuse renovation. Can’t tell you exactly what is taking place but an excavator has been busily digging a hole through the street while avoiding a tangle of steel support beams. I wish I could get closer but those darn construction fences, concrete barriers and asbestos warning signs really do the trick. 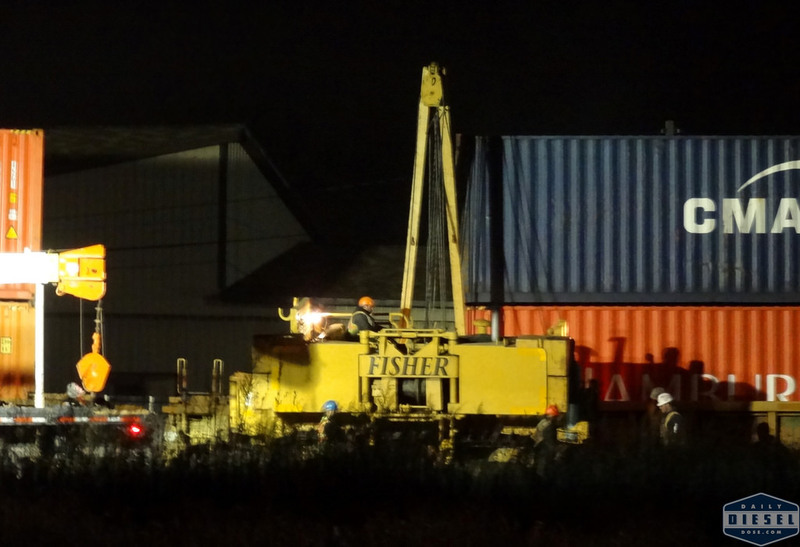 This entry was posted in Heavy Equipment, On the Job and tagged csx, fisher companies, train derailment. Bookmark the permalink.